Our unit on Cultures will be coming to an end soon but this week we had our last speaker in to talk to us. Alex spent most of her childhood in South Africa. The children were most interested in her snake stories. 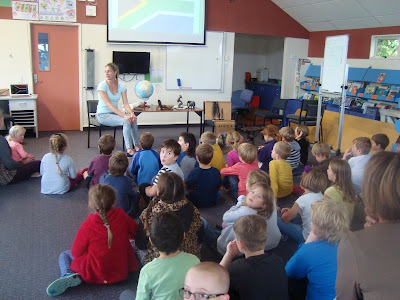 We were treated to her interactive life story of adventure.... a complete difference to our own.